This is James Scully, speaking from Brooklyn. The next episode of Breaking Walls, which will be released on February 15th, 2018 will begin a long-term story arc on the history of the american radio drama. What is radio drama? Prior to television, people tuned in to Radio to hear their favorite comedies, thrillers, westerns, high-adventure dramas, soap operas, kids shows, and melodramas, along with the talk, news, music, and sports that still dominate the airwaves. Radio Drama on the major networks of NBC, CBS, and ABC mostly went out after the growth of television in the 1950s and the story of this industry isn’t widely known to the general american public. I’d like to change that. Going forward, Breaking Walls will tell the story of this medium, which still influences our entertainment patterns today. We’ll start at the beginning of radio and move through the rise of the networks, the growth of programming, how the great depression and world war II influenced the country, why radio declined during the growth of TV, what happened to its stars and the people who worked at the recording studios after radio drama went out in the late 1950s and early 1960s, why fans began collecting shows, how this helped save countless hours of broadcasts, and where we can go next. This story will be told over many episodes of Breaking Walls in the coming weeks and months. 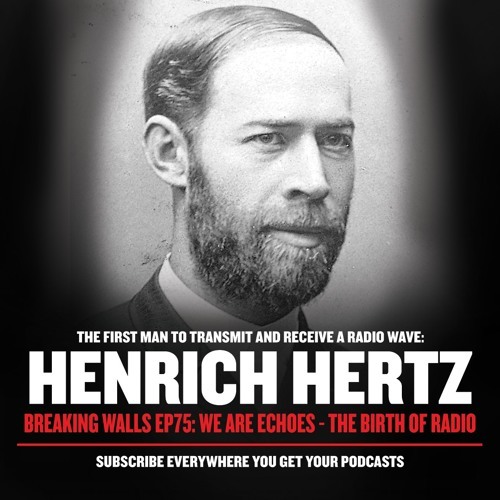 On this track, you’re going to hear the opening scene of the next episode of Breaking Walls, EP75, entitled “We Are Echoes—The Birth of Radio.” I hope you enjoy it. Subscribe to Breaking Walls everywhere you get your podcasts. And let people know this is coming. The full episode of Breaking Walls Episode 75 will be available on February 15th. Until then, I’ll catch you on the flip side.